The war was started by the Arab coalition on October 6, when Egypt and Syria launched a joint surprise attack on Israeli positions. Egyptian forces crossed the Suez Canal and entered the Sinai Peninsula, while Syrian forces entered Golan Heights. Both locations were captured by Israel during Six-Day War in 1967. The confrontation lasted for nineteen days and ended on October 25, 1973 by Israeli victory. Celebration of Tishren Liberation Day isn't paid much attention to and almost no special commemorative events are organized. The military sites are decorated with flags and banners. Sport competitions are also sometimes held on this day. 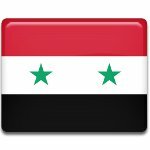 Although the celebration of this holiday doesn't attract much attention, this is a public holiday in Syria.